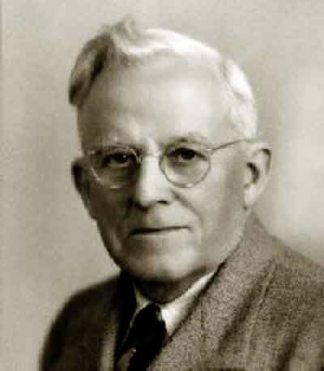 Essek William Kenyon (1867 – 1948) was an evangelist, pastor, president of a Bible Institute, author, songwriter, and poet. He is best known for the numerous books that he authored that are still in great demand today. Kenyon’s writings dramatically unfold the glorious truths of the revelation given to the apostle Paul in simple, concise language. He wrote for the spirit man, addressing the heart more than the head. Understanding the Father-heart of God, who we are in Christ, and the authority and privileges of the believer were central to Kenyon’s message. Other articles by E.W. Kenyon – God Reproducing Himself In Us, Raised With Him, His Name On Our Lips Brings Healing, What We Are In Christ, and Paul About Prayer. All articles are used by permission. Pingback: E.W. Kenyon Biography, Ministry & Lessons from his Life. Unless I’m not comprehending the “simple” teachings from “Advanced bible course, studies in the deeper life, it appears that Kenyon is adding the “Word” as a fourth member of the Trinity. Maybe somebody could help shed some light to this “simple” teaching. Don’t you like Kenyon’s teaching. Joe can you separate the word from the person that is the word made flesh? David, just finished In His Presence and am working on Two Kinds of Faith. He is very Scripturally correct so far. I read your comments with amazement. What Titles contain the satanic error, I say satanic because if you are indeed correct it is. Maybe someone edited these “beliefs into his work after he passed. I would love to know how to get his books.. I need the book IN HIS PRESENCE. Be very careful with his books, he gets off in error, he says the Lord got redeemed born and became the Son of God in hell(falsedoctrine)! The Bible plainly says this day in the city of David a savior is born, the whole plan of salvation is God manifest in the flesh, seen of angels, this happen in a virgin womb, Mary birth him and he came thru her womb. David – I sort of agree. His early books are the best. The ones with “Two Kinds of …” in the title. The rest were edited by his daughters after his death. He does teach that Jesus died spiritually during His work on the Cross. I do not believe that. Scripture is mute on the subject so we should be also. The few verses that they use to push that point are badly handled – both in the Old Testament and New Testament. We don’t know exactly what went on in the heart of Jesus on the Cross, but we do know that it was huge. He was forsaken by the Father for the first time in eternity. We have no idea what that actually means. It is a mystery and I leave it as such. I believe this ‘forsaking’ is the part that drove Him to sweat blood in the garden. Of course, the torture was horrible, but being cut off from the Father made everything else pale by comparison. I know a Kenyon family in the U.S.A.. Maybe, BBC World Service has a worker re sports news , whose last name in Kenyon. Have a holy, happy Lent. I would like to ask permission for my husband to use EW Kenyon’s material if possible. He ministers currently to the police officers and at the jail in our local town as well as in the surrounding rural area. I hope you find it in order and hoping to hear from you soon. This man’s have really transformed my life and the lives of those around me. Wonderful teachings. I really love them and may they continue creating impacts in generation after generation.